On Sale Now! 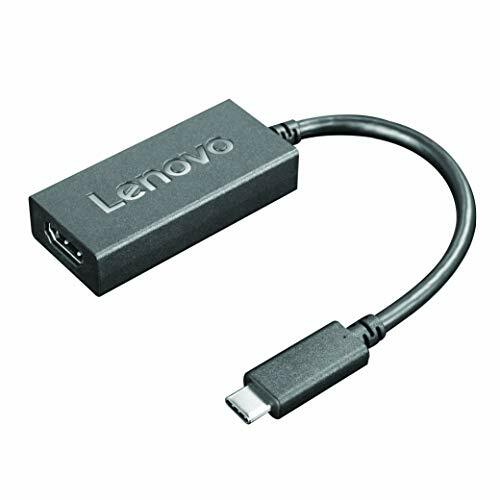 Save 6% on the Lenovo USB-C to HDMI Adapter, 100% Compatible for Lenovo Yoga 920, Yoga 730 and Yoga 720 laptops, GX90M44577 by Lenovo at Andy Pemberton. MPN: GX90M44577. Hurry! Limited time offer. Offer valid only while supplies last. The Lenovo USB-C to HDMI Adapter converts an available USB-C port into an HDMI 1.4-compliant output, with high resolution video support and audio. The Lenovo USB-C to HDMI Adapter converts an available USB-C port into an HDMI 1.4-compliant output, with high resolution video support and audio. The Lenovo USB-C to HDMI Adapter can be used to mirror your primary display or to extend your display to double your workspace.